Whilce Portacio and Brandon Choi Wizard the Comics Magazine #15 Cover Original Art (Wizard, 1992). The gang from Wetworks stand proud on this outstanding Wizard cover by Portacio and Choi. There are four separate sheets with one and two characters each, which were then layered in the production process to create the final cover. 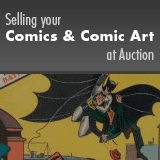 Image areas are generally in the 10" x 15" range and the art is in Very Good condition. From the Shamus Modern Masterworks Collection.